It’s easy to forget, while gazing down at your spicy tuna roll, that fishing is a brutal business. Commercial fishers suffocate halibut, bleed out salmon and crush pollock in trawls. Since 1958, the federal Humane Methods of Slaughter Act has required that terrestrial livestock be rendered insensible to pain before death, but the law excludes fish. Now, however, one growing seafood company is beginning to consider the welfare of its catch — and, perhaps, fomenting a revolution in how we treat our finned brethren. Burns’s concern for piscine well-being arrived via a roundabout route. In 1994, Mike and his brother, Patrick, purchased a ranch in eastern Oregon to supplement their small commercial fishing business. As they boned up on the beef industry, they became acquainted with the work of Temple Grandin, the legendary Colorado State University animal scientist who revolutionized livestock treatment, developing, among other innovations, standards for pre-slaughter stunning and curved loading chutes to make cows’ final moments less stressful. The Burns brothers incorporated Grandin’s techniques on their ranch, then adapted her principles for fish when they designed the Blue North, their flagship. 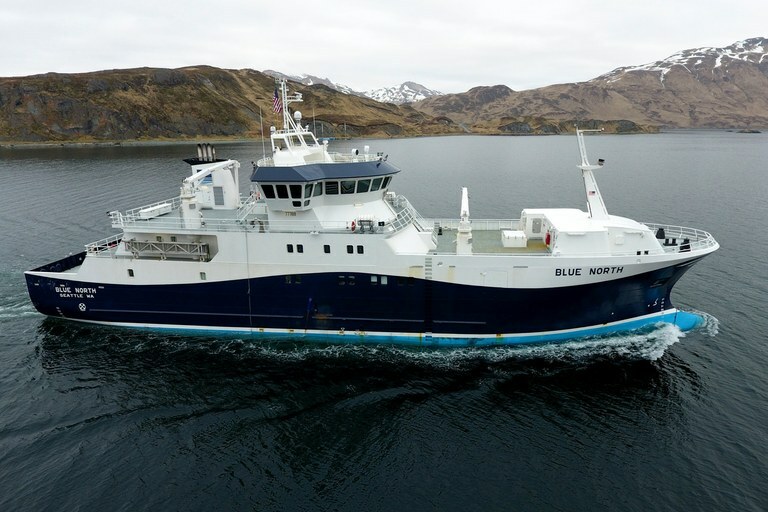 Although Grandin points out that inventors have filed dozens of patents for stunning devices, the Blue North is, so far as Burns knows, one of only two commercial boats in the world to use one. Fish welfare has progressed further in the aquaculture industry, particularly abroad. Some Canadian fish farms, for example, knock salmon out with a pneumatic hammer before slaughter. U.S.-based Humane Farm Animal Care, which has developed humane labels for land-based livestock, is currently working on fish farm protocols, although Mimi Stein, the nonprofit’s director, said they have yet to be implemented. For wild-caught fish, market pressures may ultimately spur considerate killing; a survey released last fall suggested that half of American consumers are more likely to buy well-treated fish. At the moment, Burns said, Blue North’s “Humane Harvest” cod is sold at a handful of Seattle-area restaurants and markets, and, like organic produce, fetches a modest price premium. Still, real reform must come from seafood purveyors themselves, Grandin said. In 1999, McDonald’s, its public image singed by a legal battle with animal rights activists, hired her to overhaul its slaughterhouses. “I saw more change (then) than I had in a 25-year career prior to that,” Grandin said. The fish welfare revolution will have truly arrived when the Golden Arches and its ilk source their pollock sandwiches from boats that humanely kill their catch. Ben Goldfarb lives in Spokane, Washington. A frequent contributor to High Country News, he is the author of Eager: The Surprising, Secret Life of Beavers and Why They Matter (Chelsea Green Publishing, 2018). Email High Country News at [email protected] or submit a letter to the editor.